Erick Leopoldo shares a nice technique to improve your transitions and show your content in the most fluid way. Ankit Karnany demonstrates how to build a simple animation of a face with different expressions. With this Usability and UX for Web Design bundle of eBooks from Smashing Magazine, you’ll be able to master both basic and advanced UX topics in no time. Robert Flack and Majid Valipour give an introduction to CSS Scroll Snap. Rachel Andrew takes a detailed look at what actually happens when you add display: flex to your stylesheet. Chen Hui Jing shares some thoughts on CSS Exclusions and new CSS features in general. Mikhail Gündoğdu gives an excellent introduction to Design Systems. Alita Joyce explains how to create good, accessible toggle switches. Are your coding skills still up to date? Make sure they are. 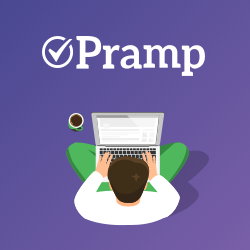 Use Pramp – practice with peers and get job offers from top companies. A11Y Nutrition Cards is a checklist that simplifies the accessibility expectations when it comes to component authoring. Based on the WAI ARIA Authoring Practices Guide. Devhints is a nice collection of web development cheatsheets. Digital Psychology is a library of psychological principles and examples for inspiration to enhance the customer experience and influence your user’s behavior written by Daniel Stefanovic.